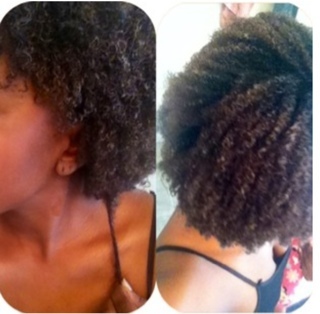 Nappturally Chic Jeré: Your Natural Hair Is Growing!! 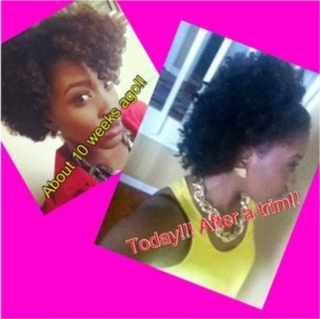 Your Natural Hair Is Growing!! So, how did I get over it? I had to remind myself of the condition of my hair when I was relaxing. I reminded myself that though my relaxed hair was a lot longer that this tightly curled fro, it was unhealthy, thinning, and extremely damaged. I started to look back at older pictures I took after my big chop and I began to notice it: My hair is growing, my hair is thriving!! I'm at the start of my journey and ever month it is getting better, healthier, and stronger; I am so glad I didn't give up! New naturals have a hard time judging their hair growth because our tight coils, and curls usually grow out as oppose to down. If you are feeling frustrated and if you can't see you progress, try these things. 1) Do a picture comparison. Place pictures of similar styles from different points in your journey side by side to notice the increase width, thickness, and length of your hair. I was so shocked after my first comparison picture. I had no idea that I experienced that much growth. Try it and this will give you an instant boost of motivation and accomplishment. 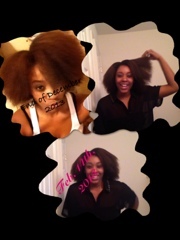 Hopefully this encourages those new naturals out there that are on the brink of hair frustration. Remember, the biggest problem we have with our hair, is that we think, our hair is a problem! Your hair is beautiful, unique, and amazing. Embrace all that it is and you will love your hair as much as I love mine. I have included pictures below of my growth and journey, please check them out for inspiration and motivation. 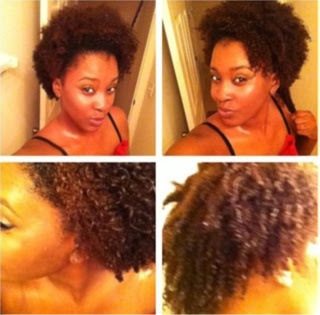 Don't let the shrinkage fool you!! You hair is growing!!! Two Light Blow-outs... Look at the difference!!! Oh my goodness!! I really needed to read this!! I've been getting so frustrated lately, but I'm realizing that I have to let my hair do its own thing...Thank you so much! !